We offer online advertising services for all of the major online ad types including paid search, display, social, shopping and more. The two most common online advertising outlets are Google and Facebook. 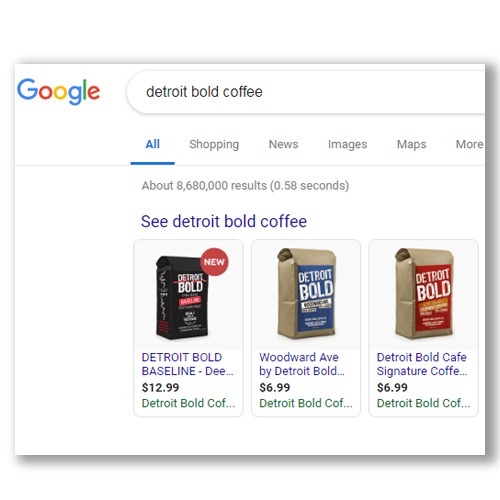 Search ads (pay-per-click) on Google are popular because they react to a user’s search query which is a proxy for intent. On Facebook, many experts say organic reach, or un-paid reach, is no more and an advertising strategy is required. Additionally, depending on your business and budget, it may be worth exploring ads on YouTube (video), LinkedIn, Twitter, Amazon and others. Copy, graphics, imagery, video, strategy, targeting, colors, branding, etc. Keyword targeting, bidding strategy, navigating ad platforms, campaign budgeting, creative testing, ongoing optimization, etc. We're Certified in Google Ads! 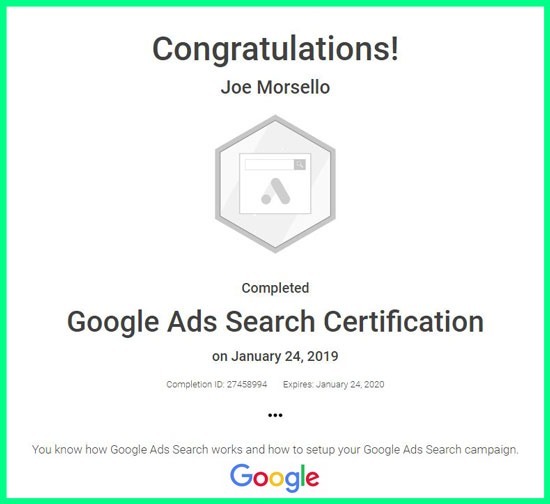 Google has recognized our owner, Joe Morsello, as a Google Ads certified professional, meaning that he has passed multiple assessments and is qualified to help you grow your business on the web using Google Ads. 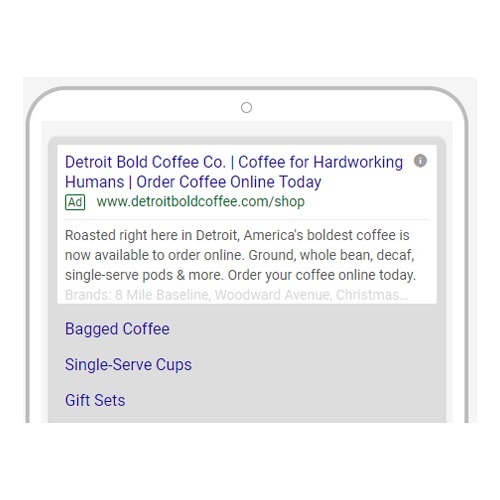 of all clicks for high commercial intent searches go to paid ads. Deliver compelling ads to people actively searching online for you and your products or services. Build awareness of your business, products or services by delivering creative ads across the web. 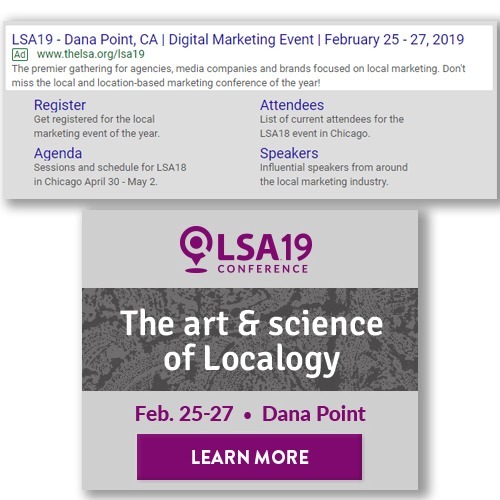 Keep your business top-of-mind by delivering ads to past visitors of your website or web page. 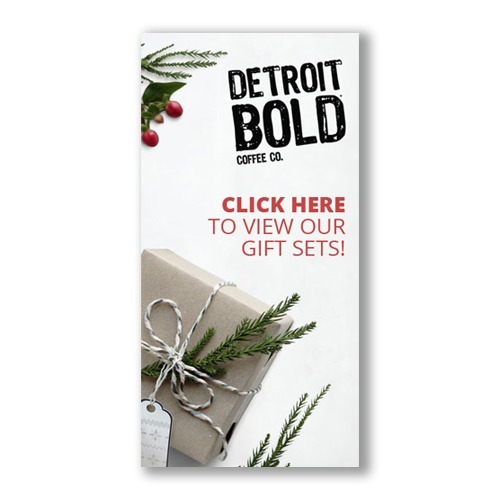 Improve your online sales with visual product ads delivered on key sites (Google, Amazon, etc.). Develope visually compelling ads on key social channels like Facebook, LinkedIn, Twitter, etc. Increase exposure of your promotional videos with targeted video ads on YouTube. Let's reach and inspire new audiences with compelling online ads.